In a world where the smallest exposure can lead to a full on data breach, we definitely want to be conscious of our security, risks, and attack surface. 9 times out of 10, we are never going to require external ECP access, so why risk leaving it open? In order to achieve this, we are basically going to restrict the ECP directory to only internal IP addresses. 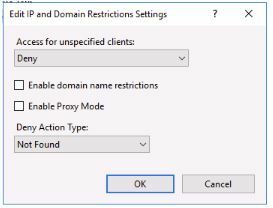 In order to do that, we need to ensure we have the “IP and Domain Restrictions” Web Server Security feature installed. 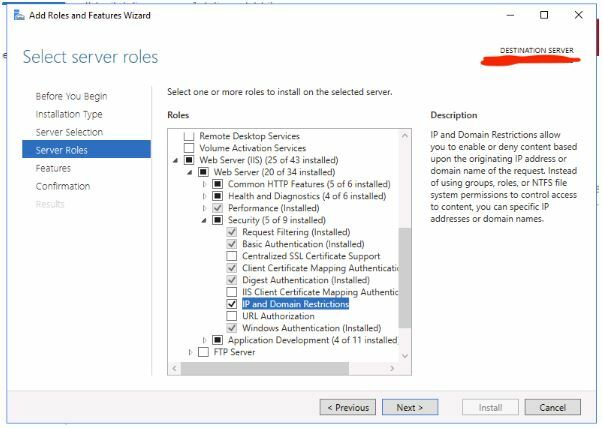 Fire up Server Manager and “Add Roles and Features” on your Exchange Server. 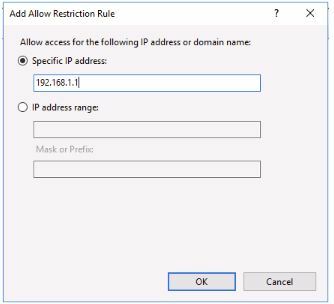 Now that we have the IP and Domain Restrictions installed, we can go ahead and restrict access. 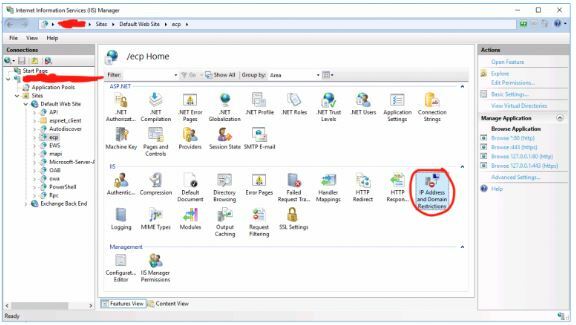 Open up IIS Manager and navigate to the ECP directory underneath your Default Web Site. Now we want to start by allowing our internal network. 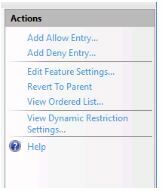 This allows the IP address(es) we specified to access the ECP, now we want to block anyone else. Finally, set “Access for unspecified clients” to “Deny” and take your pick for the “Deny Action Type“. In this case, we chose “Not Found” to assist in preventing bots from potentially recognising that an ECP even exists. Congratulations! 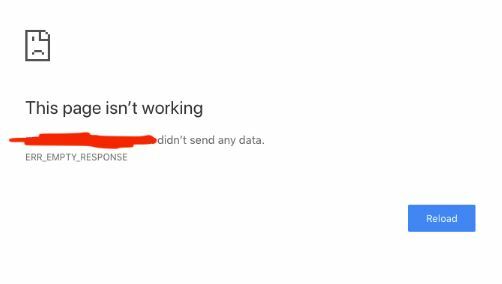 You’ve just blocked the world from accessing your ECP.